Apple claims massive performance improvements in its latest mobile software. Here’s a quick iOS 11 vs. iOS 12 Beta speed test on the iPhone 5s and iPhone 8 to test the claim. During its iOS 12 announcement yesterday, Apple said that it is going big in terms of performance this time around. In fact, iOS 12 uses several techniques to boost performance to ensure everything is nice and ticking whenever you require it. For instance, whenever you do a taxing routine on your device, iOS 12 will call upon maximum performance from the chip in your phone or tablet where needed so that you get every ounce of performance to keep things snappy. So, how fast is iOS 12 compared to the latest public release which is iOS 11.4? Here are two videos going head to head against each other showing just that. As you can see in the videos yourself, despite being beta software, iOS 12 really does walk past iOS 11 in a lot of places. So it’s safe to say at this point that iOS 12 is going to be the first ever software update from Apple that actually makes your phone or tablet faster than ever before. Sounds unlike Apple doesn’t it? There are a lot of betas to go through before we end up with the final software. In other words: it’s likely that we will end up seeing some significant performance gains from Apple’s end in the time to come. 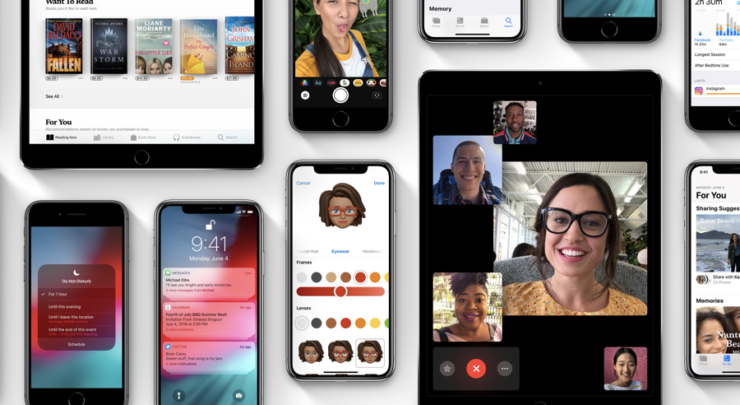 But that does not mean in any way that you ditch iOS 11 altogether in favor of beta software as apps, games and many services haven’t been updated to take advantage of Apple’s latest pre-release software. If you’re really itching to get onboard, then it’s entirely your choice.